Hold a GEAR UP Week at your school to kick off the year with fun and exciting activities (but without a lot of energy on your part!) that encourage a college-going culture in your school and community. 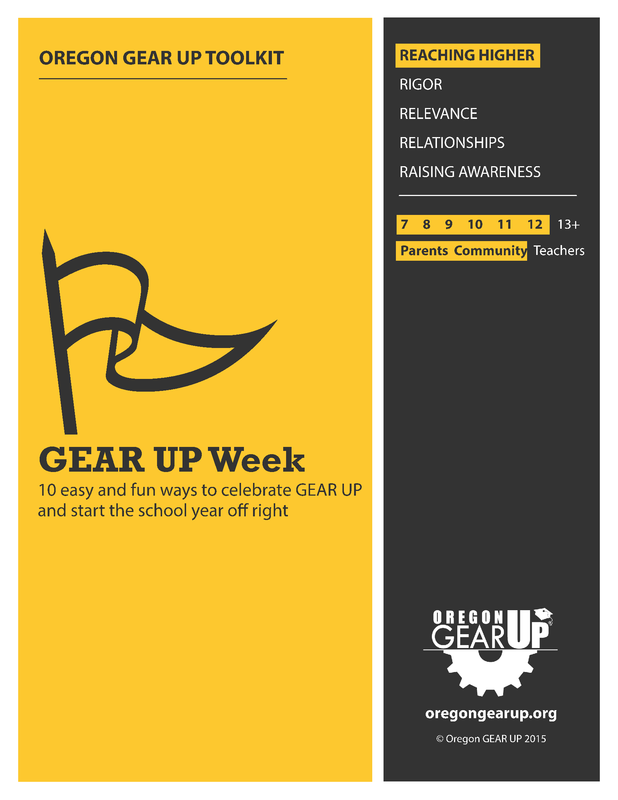 You can use these materials during National GEAR UP Week or any time that works for you. This toolkit has everything you need to put on a week of programs designed to get the word out about GEAR UP and the importance of going to college.